Autumn is undoubtedly my favorite season of the year. I grew up in the Northeast where we were lucky enough to enjoy the changing colors and splendid cooler weather in all its glory. Last year I spent autumn (and winter) in the Dominican Republic, which meant every day was a muggy 95+ degrees and burn-worthy sunny. Now, I am not asking for any pity come January/February, but I’ve spent the past few months this year in my home state and it’s just marvelous. Autumn is the best! I’ve had this pattern in the works for about three years now (story of my life, yes?) and honestly the hardest part for me was getting the pompom and braids on to take final pictures…I even have this hat in four separate colors, just none of them finished. Who knows why the finishing steps are so hard, but I think the yarning world agrees that “weaving in ends”, “sewing on buttons”, and “making and attaching pompoms” are just about everyone’s least favorite things to do. Enough talk, let’s make some fun hats! I’m proud to say this is my first unisex hat. (I made sure to clear it by my very hairy manly husband before making that statement). It’s available in adult S/M and L/XL sizes. 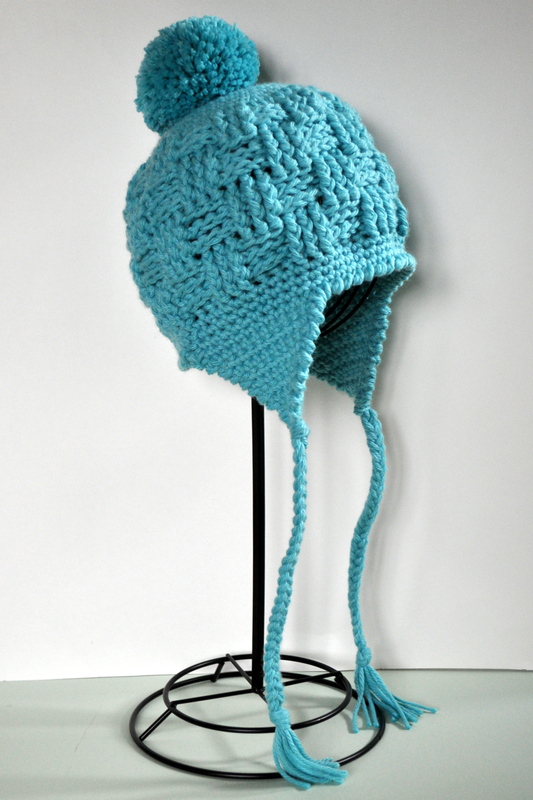 The chunky yarn makes it super warm, the pompom is always optional, but when do you NOT want pompoms on your hats?! Buy yours on Ravelry, Etsy, Craftsy or using the below link. Hooray for hats!